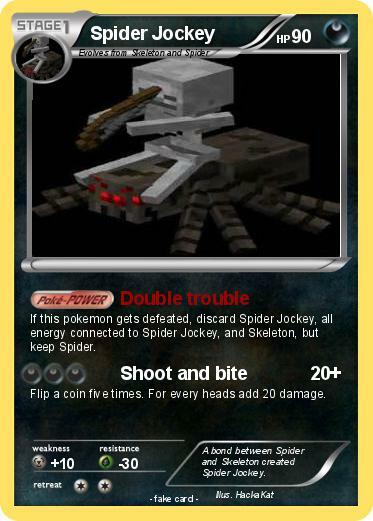 If this pokemon gets defeated, discard Spider Jockey, all energy connected to Spider Jockey, and Skeleton, but keep Spider. Flip a coin five times. For every heads add 20 damage. Comments : A bond between Spider and Skeleton created Spider Jockey.